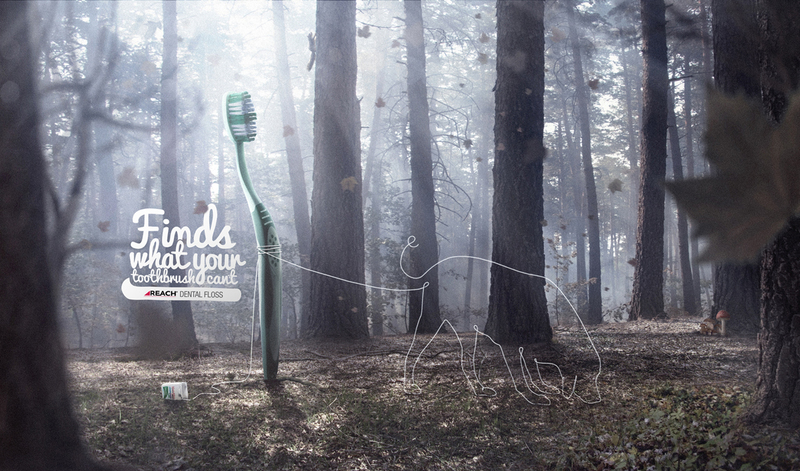 Reach dental floss is presented as a metal detector on the beach and a bloodhound in the forest, in this print advertising campaign from Peru. “Reach. 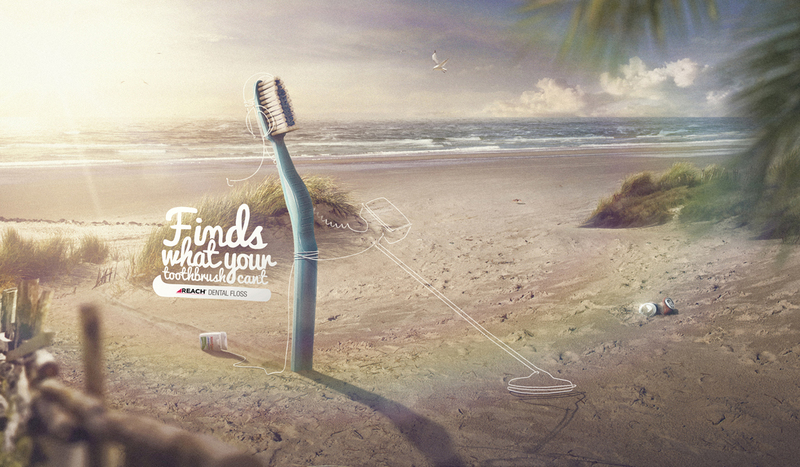 Finds what your toothbrush can’t”. The Reach campaign was developed at Pragma DDB, Peru, by general creative director Marco Caballero, head of art Christopher Graham, art director Mirko Cuculiza, copywriters Aldo Silva and Jorge Bryson, and account manager Fabiana Pezzia. Retouching was done at Midas Digital.